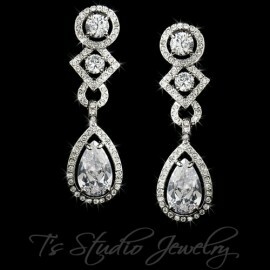 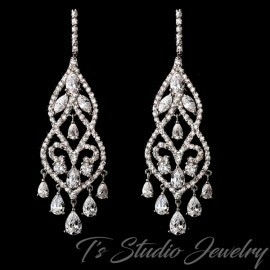 This cubic zirconia necklace and earrings set is exquisite! 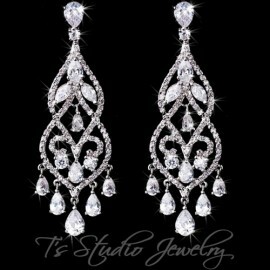 It features an art-deco inspired design encrusted with sparkling clear cubic zirconia crystals and set in either a silver or gold base. 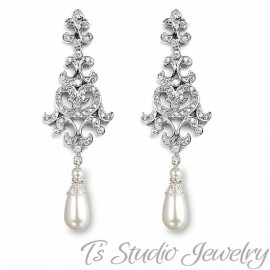 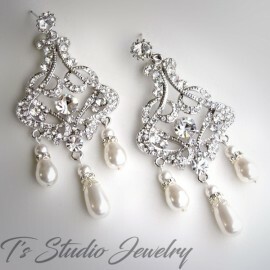 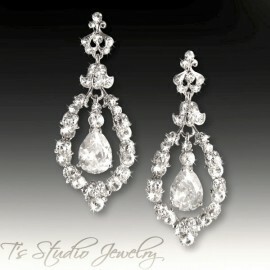 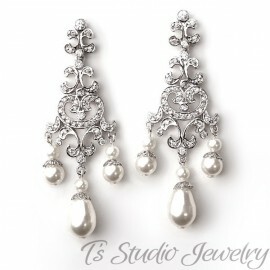 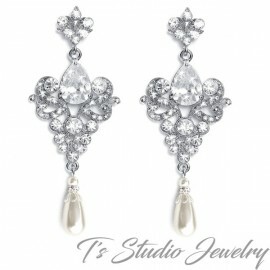 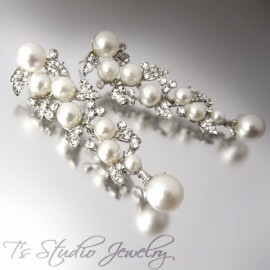 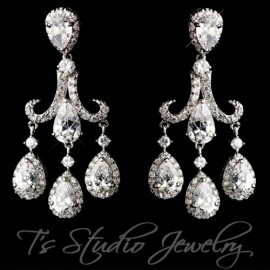 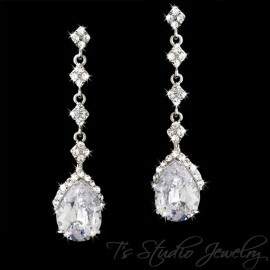 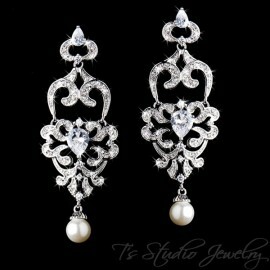 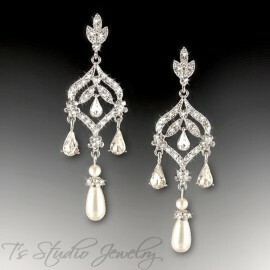 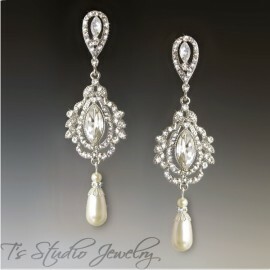 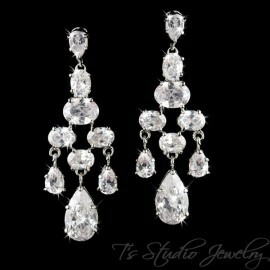 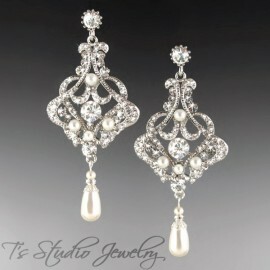 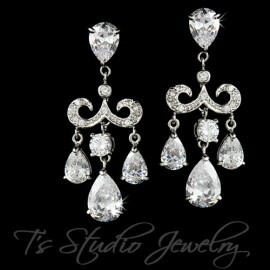 It will make a beautiful accessory to your classic, modern or vintage inspired wedding, or any formal affair. 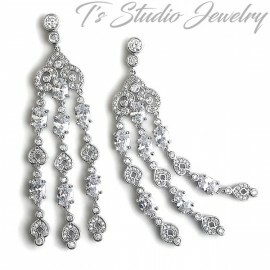 If you would like to add the backdrop lariat, please choose that option from the drop down menu on the right. 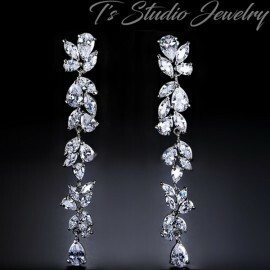 Earrings measure 2 3/8" long. 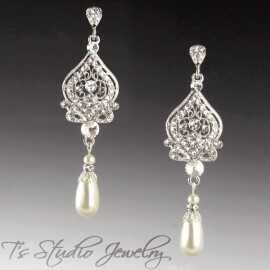 Available in gold or silver metal, and with or without the backdrop style. 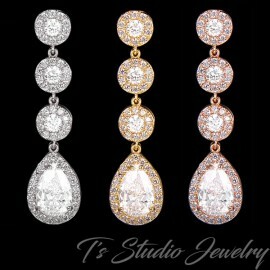 The necklace without backdrop comes with an extender chain, and is adjustable 16"-18". 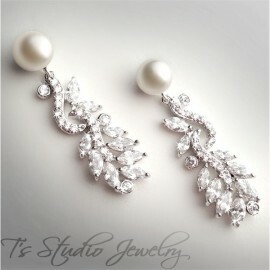 The backdrop style necklace measures 17" for the front part, and 9" for the backdrop. 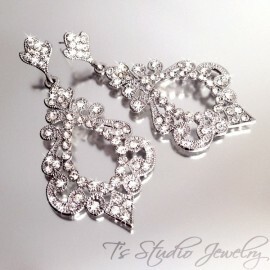 If you need a different length for either, please send a message with your order.